For clip imprint, add $.14 each. 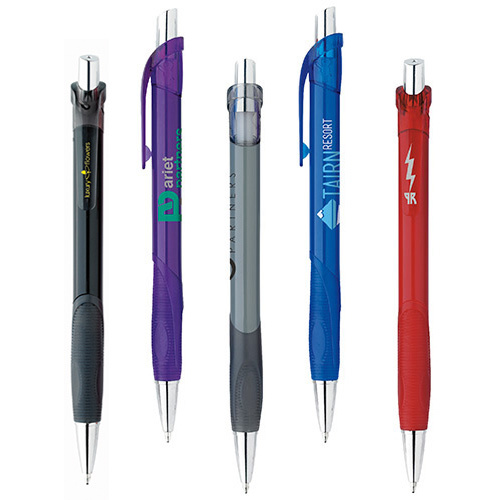 Here is one of our hot selling products – the custom BIC Clic Stic Grip Pen. 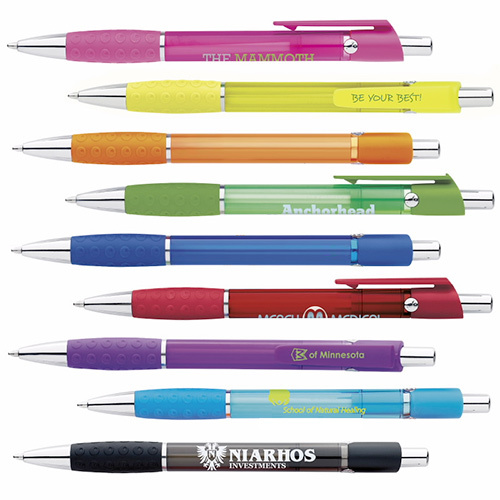 It can be distributed to clients at tradeshows or business conventions. This pen has a white colored barrel and trim. The colored grip creates a contrasting effect. The soft grip improves the writing ease. 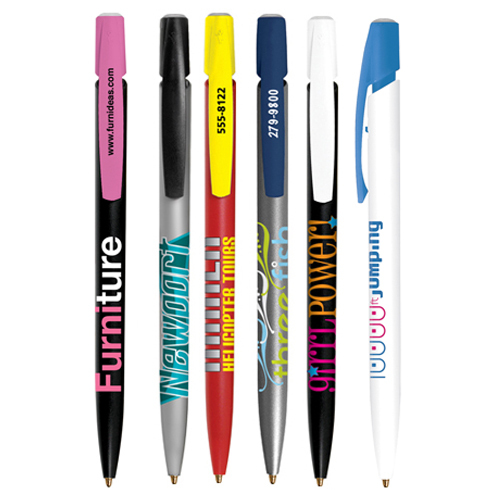 Feature your logo and place an order for these pens right away! 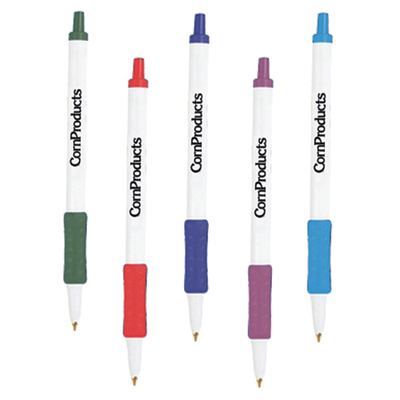 "These pens are affordable and have ample space for my brand's logo. " 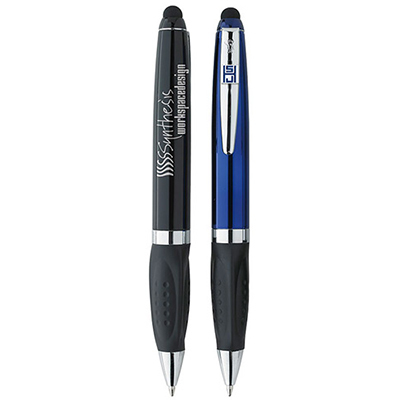 "Just love these cute pens! " Choose your grip and trim color.